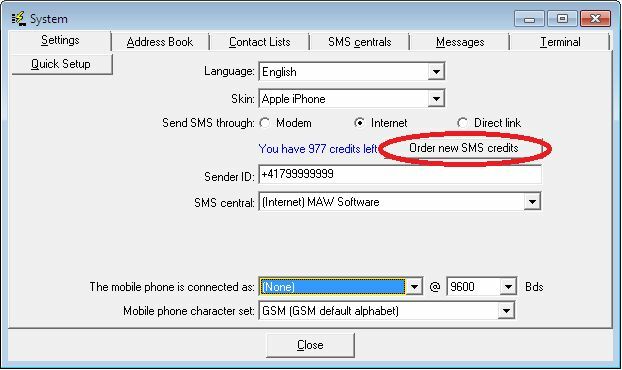 Information on how to set up an account with an Internet SMSC – MAW Software Ltd. In order to send a message through one of the Internet SMSC you may either use our own gateway or set up an account with one of our partners. They usually charge you for a block of messages, so if you intend to send only one or two, you may be better of using one of the direct dial-up SMSC. When using our own gateway you may refill your credits conveniently through the user interface of SMS-it!.